Tabbed browsing is a feature that I first encountered 10 years ago in Firefox’s previous incarnation, Firebird. Since then, tabs have popped up in almost every realm related to user interfaces. They make it easy to view lots of data in specific, organized chunks and once you’ve grown used to them, there’s no going back. So why doesn’t Windows Explorer have tabs? Who knows. Fortunately for us all, a number of hobby programmers felt that Windows would be much improved if it did have tabbed browsing. 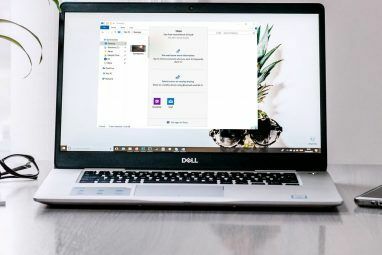 Imagine how much time and space you could save if you only needed one window with multiple tabs instead of a bunch of windows clogging up your screen. 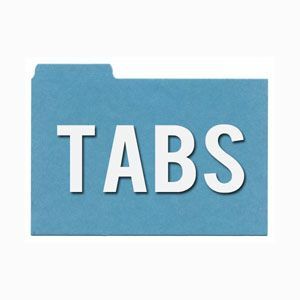 Here are 3 programs that will add tab functionality to your Windows. Out of all the tabbed explorer programs I’ve seen, Clover 2 simply looks the best out of them if we’re strictly talking about aesthetics. The tabs appear along the top, as expected, and they look exactly like the tabs you’d find in Chrome. The tabs can be rearranged smoothly and they open/close without any hitches. The one drawback that I experienced was the cumbersome nature of opening new tabs. If you drag a folder to the tab bar, it will open itself in a new tab. Right-clicking does not present an option, nor does middle-clicking open it in a new tab. Without the ease of tab creation, I feel less inclined to use this. However, if that doesn’t seem like a big deal to you, then you’ll love Clover 2. Clover 2 is developed by Chinese programmers, so the website may confuse you and it won’t offer much in terms of information (unless you can read Chinese). However, the download link is prominent, so it shouldn’t prove troublesome. Admittedly, QTTabBar is my preferred tab explorer program on this list. It may not look as aesthetically pleasing as Clover 2, but it integrates flawlessly into Windows and doesn’t intrude as much. The tabs are neat and unobtrusive, which means you gain the benefits without having to be distracted. But most of all, I like QTTabBar because opening folders in new tabs is simple: middle-click. Plus, there are a ton of features that you can tweak to personalize the whole tabbing environment. For example, you can save all open tabs and reopen them automatically the next time you open Windows Explorer. 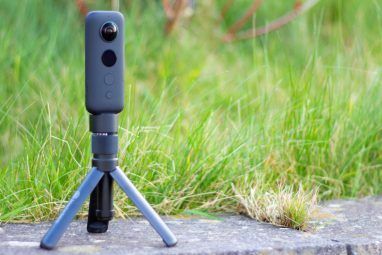 TabExplorer is good, but I like it the least out of the three on this list. 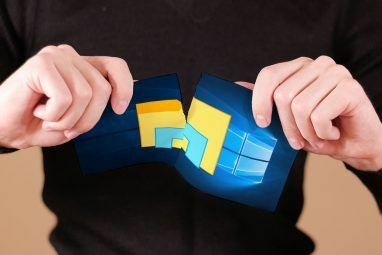 It does what it sets out to do, which is to provide a means for the user to manage multiple windows with tabs. There are a few settings you can adjust, such as toggling TabExplorer on/off (for those times when you don’t want it). It’s not bad at all. But compared to Clover 2 and QTTabBars, it does lack a bit in the area of performance. Opening and closing tabs does not feel very responsive (a small hiccup of lag). And personally, I don’t like that the tabs are situated outside of Windows Explorer itself. By all means, give it a try and see if you like it. My criticisms of TabExplorer are mainly based on preference, so you may find that you like it the best. If so, all the more power to you. Tabbed browsing. Who doesn’t love it? Having it available on Windows is nothing but convenient. Have I missed any other programs that add tab functionality to Windows? If so, please share them in the comments. I, for one, would love to see what else is available out there. Please do not use clover . It is shown constant signs of sending information back to headquarters and serisouly aren't we all aware of how intrusive chinese software is by now. I've tried 2 of them: clover and qtt. Clover 3.1 breaks like bread on 4k monitors, slows down expolorer(i am on windows 10), major display bugs, also install/uninstall interface is in chinese(i guess). As for qtt tabs that is unusable. Tiny tabs, shortcuts won't work, basically is unusable. Hope in a near future Microsoft decides to implement this feature natively on Explorer. That is the wrong location for QtTabBar. The guy at QuizoApps was going to let some guy take its maintenance over. He only made one stipulation: Use a different name for his version. The guy created the SourceForge project, DIDN'T change the name, the last update was 2013-05-30, and that version doesn't even have an uninstall that works. The guy at QuizoApps decided to start maintaining his version again, and now, it has ALMOST everything that the guy on SourceForge had added. Otherwise, it has been extended, so now it is a much better version, overall. Do you have the url for the original QtTabBar? Thanks for the crisp summary. Have used Clover in the past but then it started posing some minor issues. Who does not love tabbed explorer? Wonder why MS wont offer it out of box. Will try QTTabBar. Thanks. Tab explorer leaves a blank tab that you can't get rid of in W10. - Clover 2 is pretty nice and I like how it looks. But it's little bit laggy. - QTTabBar is the best what I met. Tons of settings and customization. You can set height and width of tabs, background color, images and much more. - TabExplorer is simple, small and you can make it to be portable. But don't support drag and drop to tabs. I tried the Clover 3 and QTTabBar and I like QTTabBar better. Clover 3 does have tabs, but it's laggy for me for some reason, ymmd. QTTabBar has tabs plus other neat stuff which I didn't even know I wanted. Like soft pop up previews of images and navigating sub-directories through a dropdown menu instead of clicking on them. I don't think either is perfect, and maybe QTTabBar is too cluttered. But I like it more. How do you toggle TabExplorer on/off? Take a look at BetterExplorer which is a Win8 version of explorer for Win7, which also adds tabs. Thank you for the link that led me to the Clover site. Clover 3 (uploaded 2014.01.26) is now available. I'm quite happy using it now. New folder tab has been created successfully as expected. I don't have any issue dragging a folder to the tab bar. Letting go the drag for a folder on/to an existing tab and a blank space on the tab bar, the effects are different . . . unless I misunderstood the issue mentioned in your comment. :) or maybe the feature has been improved in Clover 3. Thank you so much for introducing the great tools. Once you get used to it, you will never get back to the original explorer.. I meant to draw hearts but they appeared as ?? I have tested Clover 2. It's quite nice. BUT! I have seen that sometime even when I unplug a usb device it was still showing it in the explorer. And when you plug the device again, you now can't see it. I have uninstalled it and Windows Explorer automaticaly saw it. So I thing it's a nice app but still need a few fix! Agree with you. Had the same experience and finally uninstalled it. Been looking for some tools like these that is equivalent to Total Finder on OS X. Will try them to see which is the best. thanks...now i am a clover 2 user! Clover is great! I'm already using it! What about the tab I have at the local pub? Does it count :) Actually I've been using QTTabBar for some time and find it useful. Clover looks nice but I'm always careful when using Chinese software. I'm off to add yet another thing that I found out about from Make use of. This will surely help when viewing multiple folders, and not using the taskbar to switch between them. And it keeps the taskbar clean also. 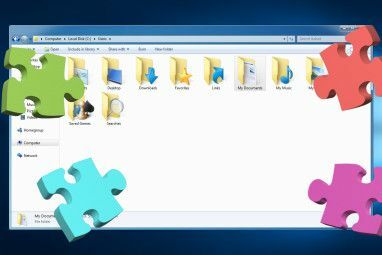 The thumbnail in windows 7 and 8 itself serves as a super awesome tabs. I uploaded clover 2 exe file to virustotal.com for checking for any malicious intent (as i do for any file that i don't download from popular download sites). 5 out of 36 scanners detected it as riskware. My kaspersky AV flagged it and showed it as 'not-a-virus:Monitor'. It described the program type as 'programs that are legitimate in themselves but have the potential to be misused by cyber criminals and to harm the user's confidential data'. Its possible it is being flagged only because of its function still 5 scanners flagging it is concern for me. Also TabExplorer exe file was shown OK in virustotal.com. I use Clover and think it is fantastic and one of the best options out there. Oh, wasn't aware of that. Awesome! I dont know why but i feel that these addons are making things more and more complicated. how??? the add a required missing functionality.. moreover they integrate flawlessly.. I use XYPlorer when I need tabbed interface (it's portable). If you're sharing your computer with someone else installing these programs to modify the native interface might not play well with your brother/friend etc. That's a little more complex than just tabs as XYPlorer replaces the whole explorer window, but it's a good program. Thanks for sharing! I will try it when I will use Windows.